If some part of your garage door breaks down and you need to get it working again as quickly as possible, our experts are here to help. Our service team is highly experienced and can deal with any problem you may be experiencing. We keep our inventory fully stocked with top-quality replacement parts, so you can count on us to replace any broken or damaged components with one of a matching or better quality. 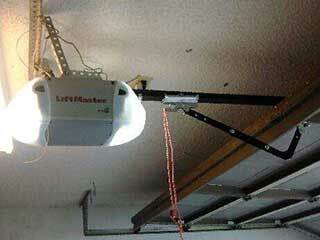 An overhead door is a complex system, and it can suffer from all sorts of different problems. Our experienced technicians will work to diagnose the underlying issue, rather than just addressing the symptoms. We'll carry out several troubleshooting tests to find out what’s causing the malfunction, and once we find the root of the problem, we'll immediately repair or replace the part in question and restore your system to its proper operation. It doesn't matter if it's the tracks, the rollers or the hinges, our technicians can handle everything. When one component breaks down it can often damage other parts around it, or ones that serve a similar purpose. If a spring breaks, for example, it puts extra strain on the system's other load-bearing parts, such as the cables, any other springs you may have, and even the opener's drive system. If you were to try and open your door during this condition, you could seriously damage these components, not to mention injure yourself. Our technicians won’t just fix the obvious problems, they’ll highlight areas for concern with the rest of your system, and give you some useful maintenance tips on how to prevent a lot of issues from occurring. Our professional team is ready to help you no matter what problems you may be dealing with. We understand sometimes speed can be just as important as quality, and we’ll make sure we get your door working again as quickly as possible. Contact Garage Door Repair Boynton Beach today.